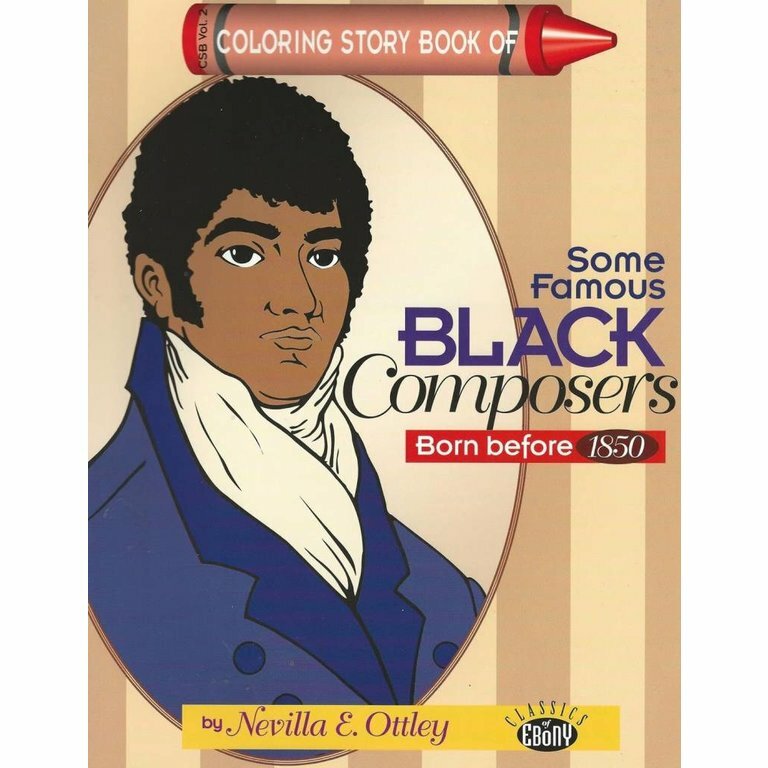 In her coloring story book, Black Composers Born Before 1850, Nevilla Ottley tells the stories of 18 Black boys and men who became famous composer and musicians during the time of Haydn, Mozart, Beethoven, and Schubert. These Black composers come from diverse backgrounds, including the Americas and Caribbean. One had a Polish mother and Barbadian father, another was born on a slave ship. They wrote music for violin, guitar, piano, brass band, symphony orchestra, and chorus. Some wrote operas, other wrote music theory textbooks, guitar method books, and one compiled a hymn book for churches. 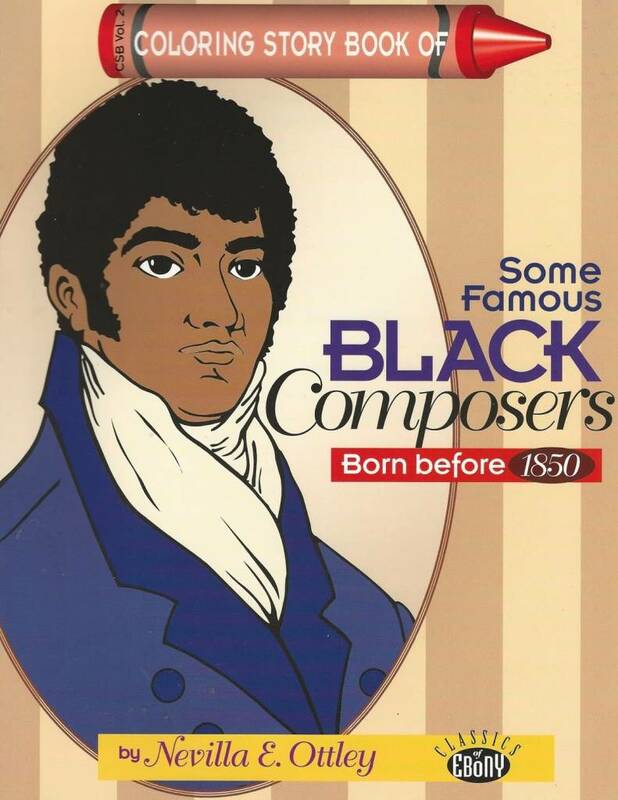 In this book, students of all ages will learn the backstories of these composers: grasping how strong willed they must have been to succeed against the odds, and often against slavery. Elementary children will enjoy coloring the pictures and listening to their stories. All-in-all, this is an educational activity book for all ages. Nevilla Ottley is a musician and music educator with two master's degrees: music history/organ performance and conducting. Through classes with her professors Dr. Evelyn Davidson White and Dr. Laura Jeanette Wells, she was introduced to the great contributions Black people have made in music from the medieval times to the present. She began writing in 1994, and opened the Ottley Music School in 1973, where she and the teachers make sure the students know of and perform this music. She has conducted these works with the Takoma Park Symphony Orchestra, with her school orchestra, and various choirs. This is the second of several books she has written about Blacks in the classical music arena including Still’s Life in Pictures, Ben Holt: Apostle of Musical Enlightenment, and Black Pianists of Classical Music.